Bangladesh, with over 150 million people, 376 people groups (328 unreached) and 42 minority languages, is a country constitutionally enslaved to Islam. The persecution of all other religions has reduced the non-Muslim population from 33% in 1941 to less than 10% in 2012. And, with 64,000 Islamic training schools, Bangladesh is a hotbed for radical Islam and terrorism. Several factors are impacting Bangladesh. Sixty percent of the population is under 25, and they are eager to work for any amount, making this an ideal sector for cheap labor. Major companies are now heavily investing in numerous industries in what has been known as the poorest country in the world. And, half of the country is now carrying cell phones. 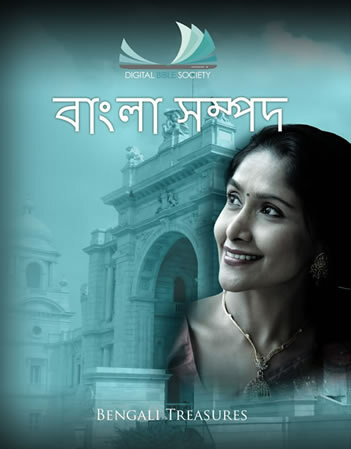 Bengali Treasures represents the initial efforts to gather into a single cell-phone-ready library, resources that will serve this complex region and contains Bibles, audio Scriptures, inspirational videos, and commentaries in Bengali and evangelistic material in 6 languages. We believe that a treasure library for believers in Bangladesh is crucial to support the Christians and mission work there. Future releases will especially focus on the inclusion of minority audio Bibles and video resources for this literacy deprived region.